If you are missing one or more teeth, dental implants may be an excellent solution for you. At My Pompano Dentist, Dr. Andrew Browne and Dr. Joseph Thayil have successfully restored the smiles of hundreds of patients with dental implants. To find out if you’re a candidate for dental implants, Dr. Browne or Dr. Thayil will evaluate the gum tissues and underlying bone in your mouth using X-rays, a CT scan, and visual examination. In general, you need relatively healthy gums and adequate bone in your jaw to support the implant. In our office, we use a high-tech implant that allows for placement even if you have less-than-ideal gum health or bone density. A dental implant is a titanium-based cylinder that replaces the root of a missing tooth. It is surgically placed in the jawbone to serve as an anchor for the eventual attachment of crowns, bridges, and partial or full dentures. The advanced implants we use have a tapered design that minimizes the amount of bone that needs to be removed, improves stability, and shortens the treatment period. Dental implants require a series of visits to the office. Once the implants are placed, the bone must heal and adhere to the implants to form a strong anchor. This can take several weeks or longer. We can attach temporary teeth replacements over the implants during this time. Then, when healing is complete, our dentist will insert a post into the implant and attach your crown, bridge, or denture. Implants offer a more realistic and natural-looking result. Implants decrease the amount of bone that is lost when a tooth is missing and provide support for gum tissue. Implants help keep dentures in place without slippage. 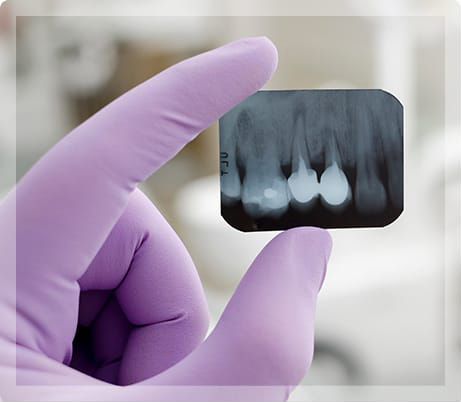 Implants help preserve natural tooth structure that may be lost if a bridge is used instead. To learn more about dental implants and how they can improve your smile, call My Pompano Dentist at (954) 941-2412 to schedule a consultation or use our convenient online request an appointment form. We offer affordable payment plans and several no-interest financing options.